You sent out your resume, applied to hundreds of positions, and finally got a call back for a few interviews. So what comes next? Wowing hiring managers and scoring job offers involves so much more than a polished resume full of experience. You need to really connect with the people you are interviewing with and make them remember you, and here are some ways you can do just that. 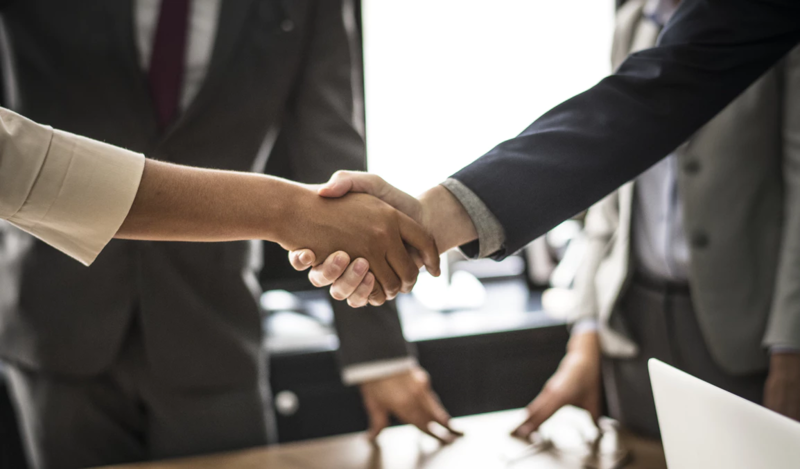 First impressions are so important when it comes to meeting new people, and you definitely want to make a positive one on prospective employers. That’s why grooming and personal hygiene are important before your big interview, so make sure you have the tools and supplies that will keep you looking sharp. Investing in some personal styling and hygiene tools, from clippers to hot rollers, is a wise move and will have you looking like a million bucks (and maybe help you earn some real bucks, too). You need to make sure your outfit is on point, too, so try to line up a few stylish, job-appropriate options so you’ll be prepared for multiple interviews. One of the most common mistakes that job candidates make is a simple one to fix: not taking the time to research the company and job they are interviewing with. As soon as you get an interview offer, hit the web and find out all you can about both. Most of what you need to ace your interview can be found right on the company’s website, but you may also need to dig around on social media and sites including Glassdoor to see what kind of knowledge hiring managers may be looking for in candidates. In addition to researching the job and company, you should also come prepared with knowledge about yourself. Practice your elevator speech answer to the common “tell me about yourself” question and other items you think your interviewer may ask. Just keep your real answer genuine and don’t overdo the details, so you can truly keep hiring managers interested. Walking into an interview empty-handed can be a major mistake for most candidates, so make a list of the items you should bring to yours. Copies of your most current resumes and references are a must and add a special touch if multiple managers decide to join your interview. A notepad and pen are also a good idea. Legal pads will do in a pinch but a professional-looking folio is a stylish and standout way to carry your pens, pads and resumes all in one place. Having a pen and paper is important because it allows you to write down interview questions and take some time to review them before you provide answers, and it also allows you to write your own questions out beforehand. Most of your interview will consist of managers asking you questions. Knowing how to answer and what to expect can definitely help you stand out in a crowd of competitive candidates. But arming yourself with some reflective, helpful questions is equally important. You can ask your manager about how they plan to measure performance for the job in question or what made previous staff members stand out to them. Definitely don’t walk out until you’ve at least asked about next steps in the job process, and do not forget to ask for the job. You may feel like your interest should be a given but taking that extra step, in the right way, can make a good impression on hiring managers. If you are a job hunter looking to land your dream position, you need to know the crucial steps to take to do so. Making a positive, lasting impression, coming prepared to your interview and allowing yourself to stand out from other candidates is your best chance to get an offer. So follow these tips to take your job search to the next level and land a position that truly makes you happy.